I have always been quick to share the number of the National Suicide Prevention Lifeline (NSPL) and to encourage others who may need it to use it, but I have never been on the other side. But recently I have been going through a rough patch mentally, and I have been seeking out as much help as I can get online in between therapy sessions. 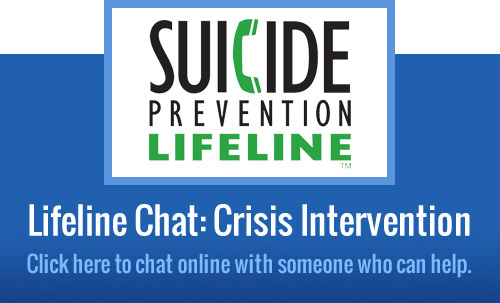 So I researched the Lifeline Chat, a messaging service of the NSPL that connects you to a trained behavioral health worker on their staff. I learned that you don’t have to be in the most extreme of crises to connect with the chat—you can contact the service in many different circumstances. In fact, there is even a small percentage of individuals who reportedly call or message the hotline weekly just to have someone to talk to about their struggles, which cover a broad scale of severity. All people are welcome to share whatever they are going through. So what is it like using Lifeline Chat? You will be met with a wait time. My research had taught me this before I even started the messaging process. The site reports that 20,000 people visit their chat page per month—an average of about 28 per hour—so there will be many people seeking help the same time as you. If you decide to call on the phone, there is typically a wait time for that as well. When I first went into the chat, I had 32 people ahead of me in a virtual line. I was at the front of the line within ten minutes. When I got to the front, I was brought to a webpage where I was asked mostly optional questions, such as an email and name. You can decide to remain anonymous by checking a box on this webpage. From there, a chat box opened, and I had another wait time of ten minutes before a worker got to me. The worker first asked me what brought me to the Lifeline chat. My worker did a technique called “reflection” when answering; if I stated something that was upsetting me, she would reflect it back and say that I seem to be affected by it and asked if that was correct. My worker asked for clarification on a lot of the topics I brought up. You can go into as little or great detail as you would like. What was most helpful about the chat was that my worker helped me remember the individuals in my life who offer me support. Once I shared with the worker that I had a close friend who I usually turn to, the worker encouraged me to reach out to her after our chat and let her know how I am feeling. I think even if you did not want to take the advice and talk to that individual in your life at that moment, it really does help to remind yourself of the people who are in your life that care about you. Would I recommend Lifeline chat? I think it depends on your situation. I was in a low spot, but I was not worried for my own safety at that moment. I believe that if you are in a serious crisis and think you may harm yourself, you should seek help immediately through a family member or friend who can take you to a hospital, doctor’s office, or other physical location to get the help that you need. Calling or messaging with a hotline can help, but not if you need urgent, time-sensitive care. The 20-minute wait time to talk with someone was doable for me, but it would not be for someone in a time of severe crisis. At the end of the day, you know what you need for your own mental health, so base your choice on the severity of what you are feeling. If you are experiencing a lot in your life and need someone to talk to—and do not mind waiting a bit of time—then definitely give Lifeline a call or chat. Have you had experience with Lifeline or know someone who has? Feel free to share your experiences below!